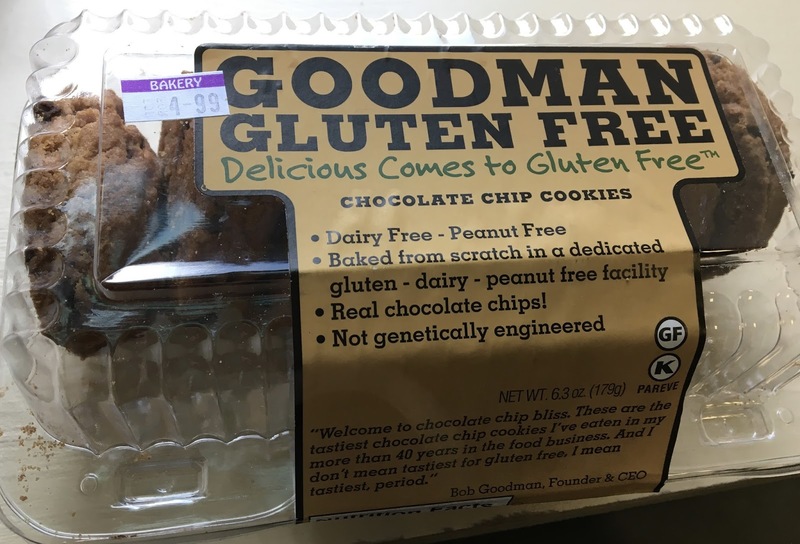 Goodman products are made in a dedicated gluten, dairy, and nut-free facility, which means that these sweets are not only tempting, but safe as well. Not only do these products pass the allergen test, they are also GMO-free and preservative-free as well. The full line includes muffins, breads, and sweets but the selection I found at The Fresh Market included cookies (oatmeal raisin, chocolate chip, brownie cookie), white bread, and chocolate cupcakes. For review, I picked up everything but the oatmeal raisin. 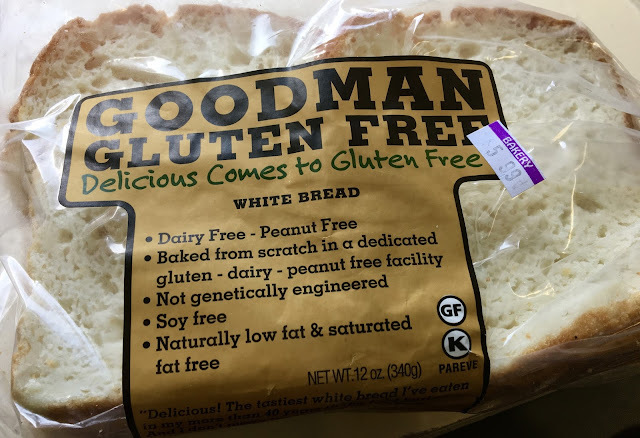 Goodman's white bread comes in ten slices, and definitely fit in among the gluten-full bread surrounding it in the bakery section. The main ingredients for the bread are brown and rice flour, tapioca flour and egg whites. The bread is a bit fragile and crumbly, but is really delicious, soft and bready with a hint of sweetness. It was the taste and texture of bakery-made bread with the functionality of a sandwich loaf. The slices were uniform and there were no heels to the loaf included, which eliminated the frustration of having to pair unevenly sized slices. The bread does contain eggs. The chocolate chip cookies definitely channel the nostalgia associated with the cookie, as they have a comforting, classic flavor and are perfectly baked to be chewy, as if made homemade from scratch using an old family recipe. 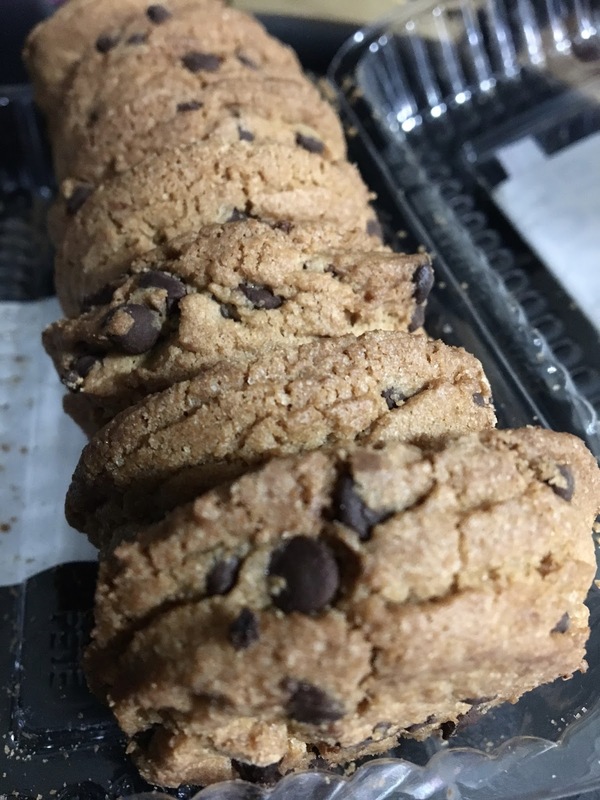 The ratio of chocolate chip to cookie was ample, and the cookie base shared the spotlight with the chocolate with a nice flavor from brown sugar and vanilla. Each cookie has only 7 grams of sugar, which makes a mid afternoon snack indulgent rather than a sugar overload. I've tasted many a chocolate chip cookie in my gluten-free blogging career, but these definitely left a great impression and are products I would happily buy over and over again. Do note that these cookies contain eggs and soy (soy lecithin). 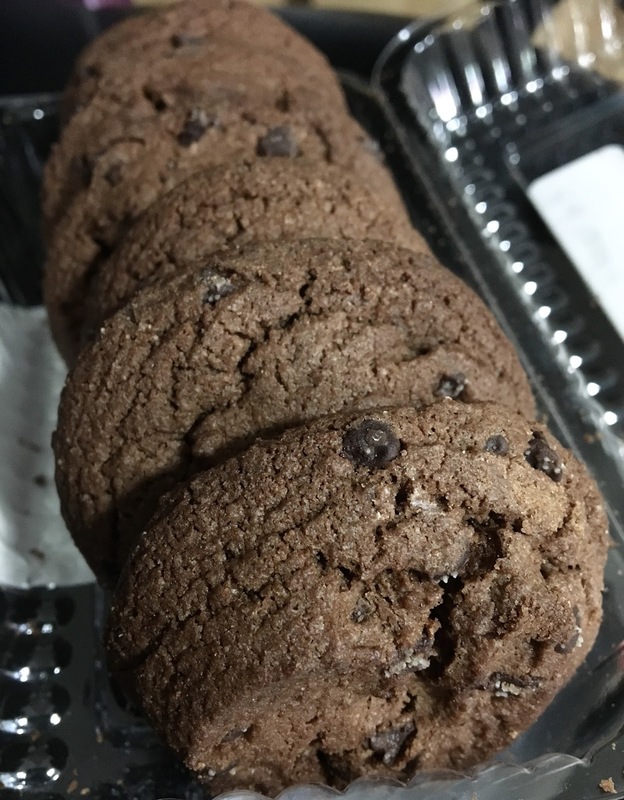 With the high standards set with the chocolate chip cookies, the brownie cookies were good, but a little overshadowed in my mind. The cocoa base for these cookies provided chocolatey bitterness and complexity, leveled by brown sugar to bring sweetness. Chocolate chips added texture, but they were not as abundant in these cookies than their counterparts. The cookies have a larger sugar impact (12 g per cookie), and were good although not great in my opinion. As with the chocolate chip cookies, these contain eggs and soy (soy lecithin). The most fun of the items I brought home were the frosted chocolate mini cupcakes. 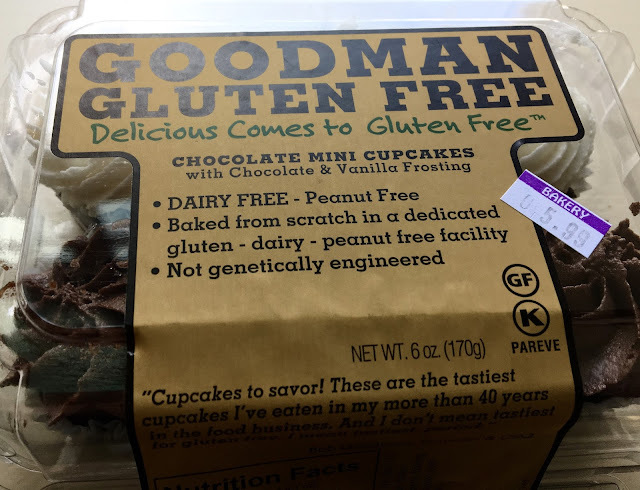 I've seen gluten-free mini cupcakes before in grocery stores and bakeries but rarely are these dairy-free as well. 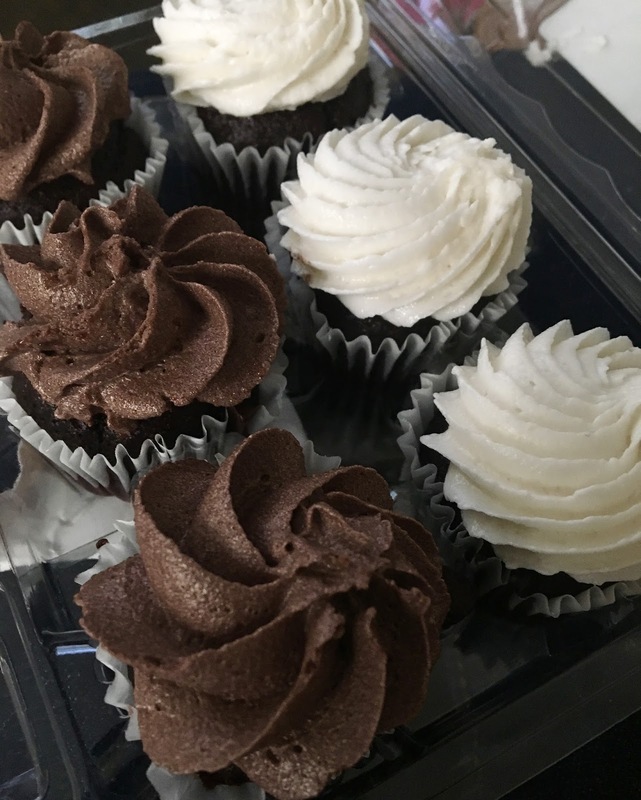 Each cupcake is a good three bites, and has a perfectly baked chocolate cake base with frosting that is not too soft or hard. Nailing both parts of the cupcake, indulging in these felt celebratory, and brought a smile to my face. The chocolate/vanilla combo has a nice flavor contrast while the chocolate/chocolate ones were a chocolate lover's dream. No chalky, "off" aftertaste followed my initial delight, and I declare these as good as, or better than many gluten-free dairy-free cupcakes I have had in bakeries. As with the others, these cupcakes do contain eggs. 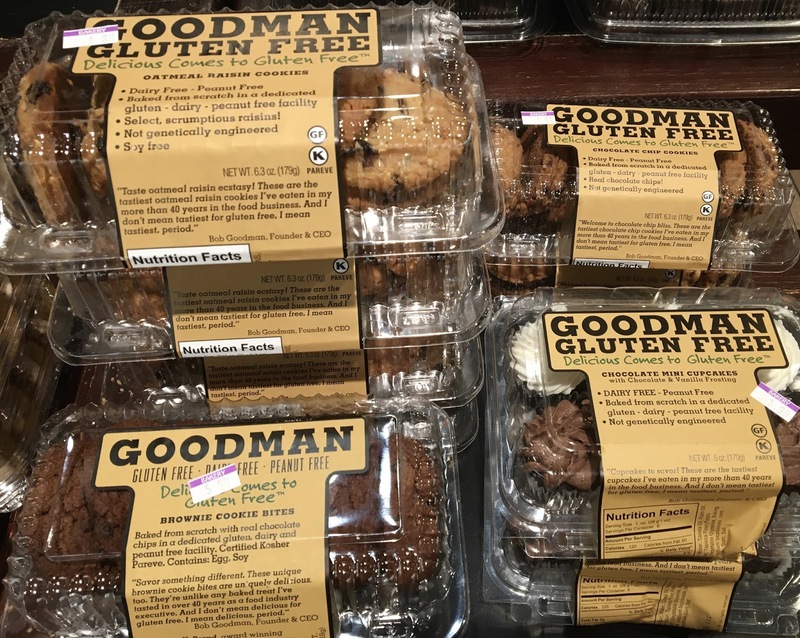 Overall, Goodman's hits it out of the park with gluten-free baked goods. In a world where it's hard to impress me with gluten-free baked goods, Goodman are quite the find because they are well-made, affordable, and are perfect for pleasing kids of all ages. My favorites were the cupcakes and chocolate chip cookies, but all of the items I tried passed my picky eater test (from trying lots of subpar gluten-free dairy-free items). I paid $5-$6 for each item, and found them at The Fresh Market in Towson, MD. 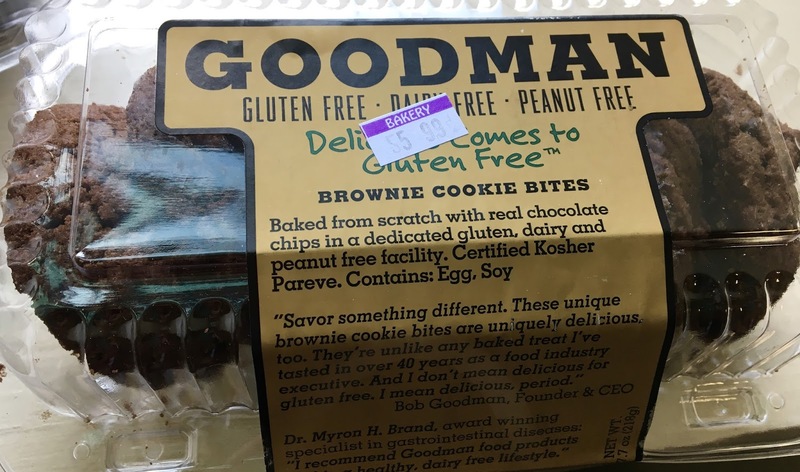 To learn more about Goodman Gluten Free and order products online, click here. To find a store near you that stocks them, click here.